Reception started our Christmas festivities. We were so proud of each of the children who created a moving , sometimes funny ‘Whoops a Daisy ‘ Nativity play, leaving very precious memories in the hearts and minds of all of the audience. This was our Y1, Y2 & Y3 Christmas play, and it was truly a magical journey. The children sang beautifully, the characters and narrators spoke clearly. Thank you to all of the families who provided wonderful costumes for the children to wear. All of the children had lots of fun and really enjoyed taking part in the play. On Monday the staff performed this play to the children, with rather different results! We were so proud of Y4, Y5 and Y6 in their Carol concerts. They all sang so beautifully and there was an amazing energy in each of the concerts. Each of our children have worked incredibly hard learning all of the Carols and that hard work certainly paid off. The PGS choir represented Peter Gladwin at the Brighton Centre with 1500 other children from 44 schools in Brighton and Hove. Both the Brighton Centre and the school Carol concert are such special events. Well done to all of the children involved. 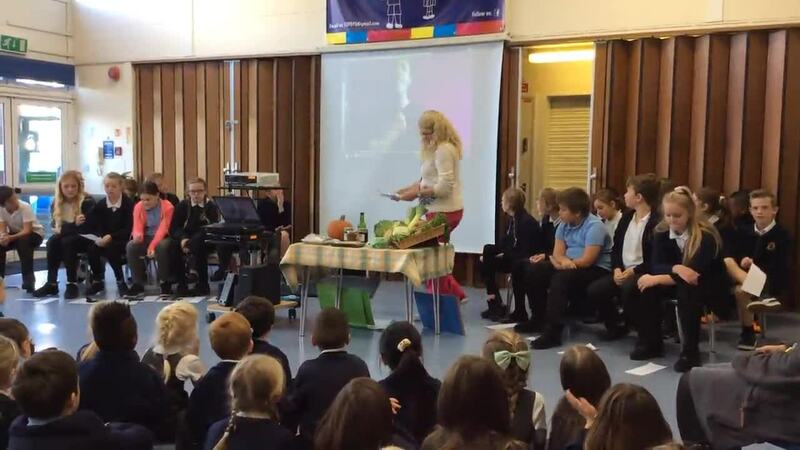 Swedish students visited the children in assembly and sang traditional songs celebrating the life of Saint Lucia. The students visit PGS annually from the local Swedish school. Santa Lucia Day is on December 13th and celebrates the life of Saint Lucia and light for the longest night of the year. (Under the old Gregorian calendar this was the Winter Solstice). Lots and lots of pairs of crazy socks and crazy tights walked, cycled and scootered to school on Children in Need day on 17th November. Thank you for your continued generosity. We raised an incredible £255. For Children in Need this year all children and staff were invited to wear something spotty for a 50p donation. Y6 children also sold Children in Need wristbands and did a fantastic job and sold out! In class, the children discussed aspects of fund-raising and the importance of helping others, and we also held a special Children in Need assembly. We raised a grand total of £217.86 on the day.